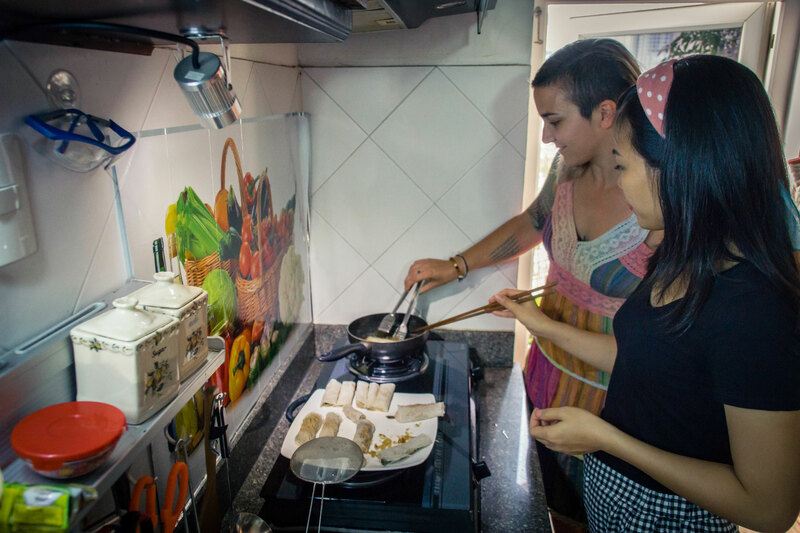 Lua lives a dual life – during the day she works for a law firm and in the evening she offers cooking classes out of her home. 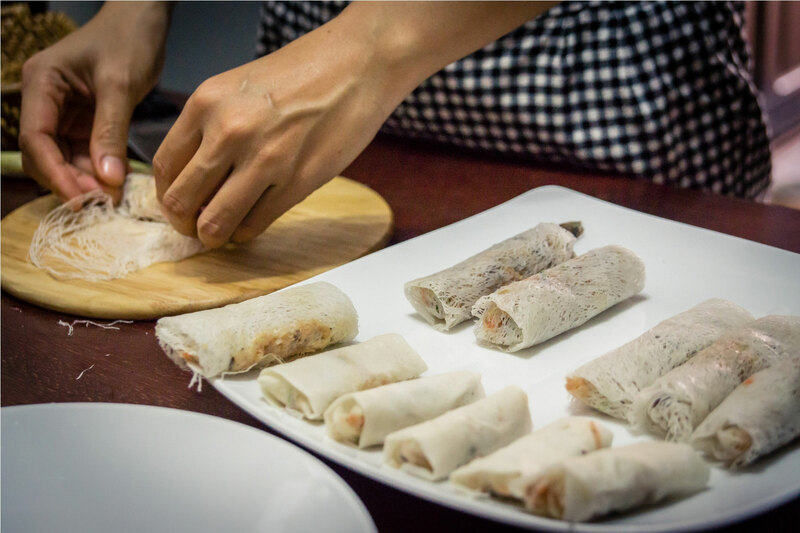 Originally from the north of Vietnam, Lua has lived in the south for more than 20 years and can cook both North and South Vietnamese dishes. She is passionate about cooking (and eating) healthy food, and also loves to travel (she has visited 13 countries and counting!) She practices yoga, meditation and Latin dance for a healthy mind and body. Lua first learned to cook when she was five years old. She was often asked to help around the kitchen with small chores and that got her very curious and interested in food and cooking. She learned most of the traditional recipes she cooks from her family, and also loves experimenting with ingredients and flavors to create her own dishes. An experience with Lua is not just about cooking and eating home food, but also about spending time together to talk, share stories, and exchange culture. 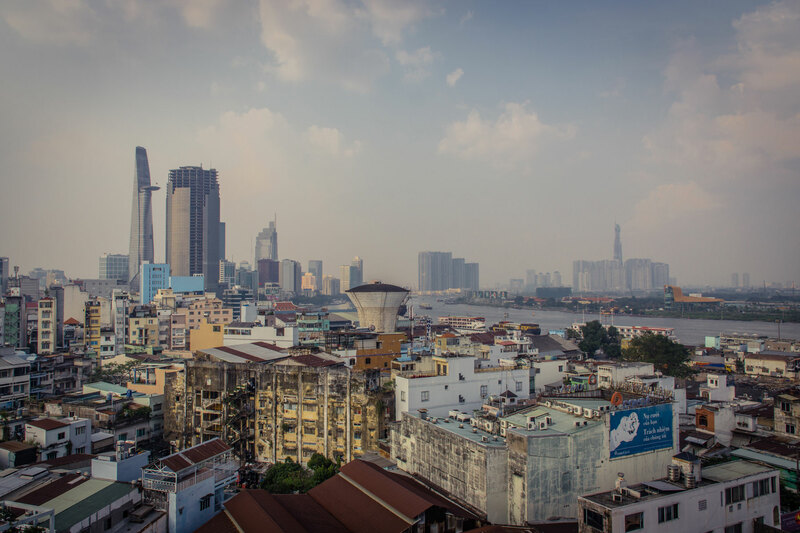 In-home meal: (2-6 guests) Lua lives in a simple apartment in Ho Chi Minh's District 4 with her aunt. Her home has a fantastic view of the city! 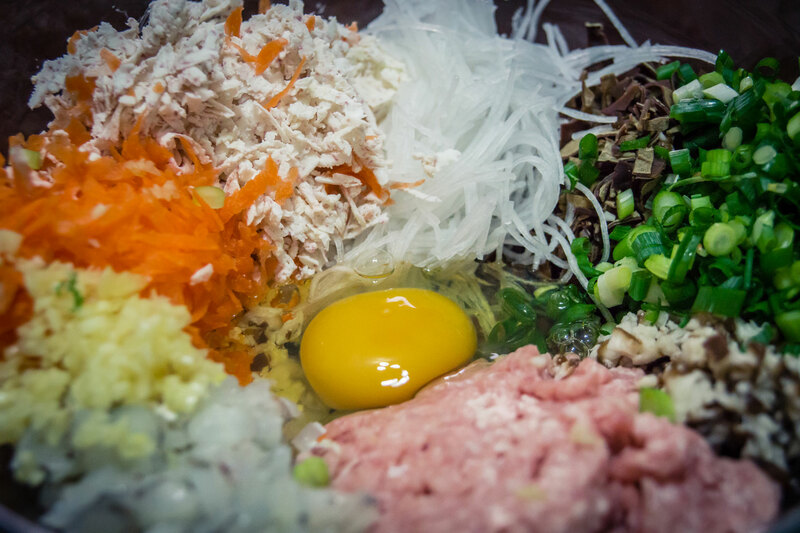 Lua specializes in authentic and healthy home-style dishes, using high quality ingredients (free of MSG) and also ingredients that are easily available all over the world. 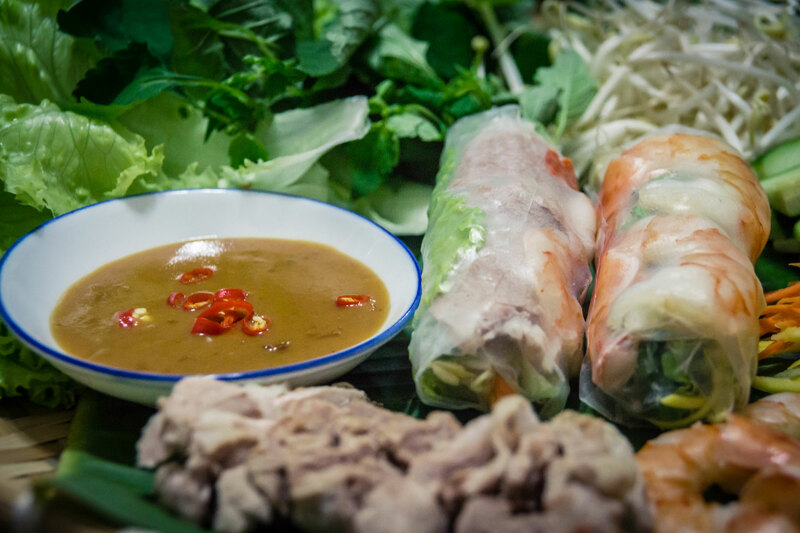 A few authentic Vietnamese dishes that you might try at Lua’s home are gỏi gà xé phay (chicken salad with cabbage, carrot, herbs and fish sauce dressing) or canh chua tôm (sweet and sour prawn soup with pineapple, tomato, tamarind and herbs), gà chiên nước mắm (fish sauce fried chicken) and of course steamed rice. 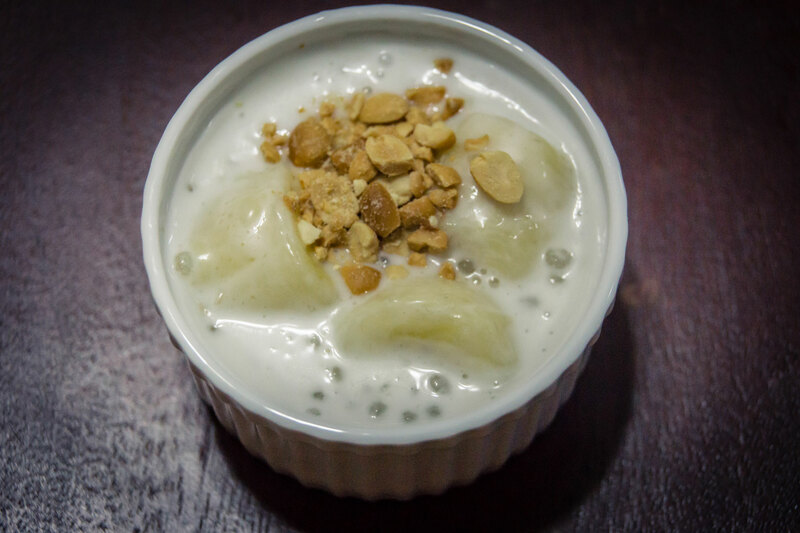 End your meal with a traditional Vietnamese dessert like xhè chuối (banana pudding with coconut milk and peanuts). 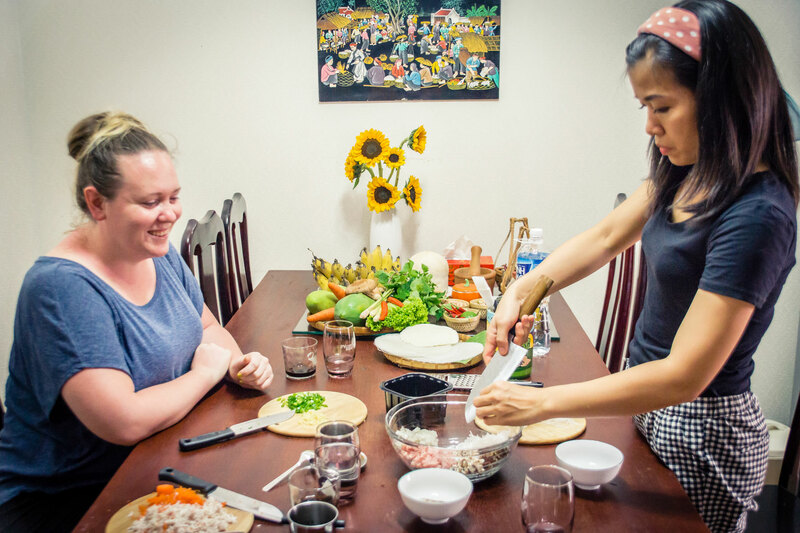 Cooking experience: (2-6 guests) Lua focuses on keeping her menu simple to ensure you can easily re-create the dishes you learn with her in your own kitchen. 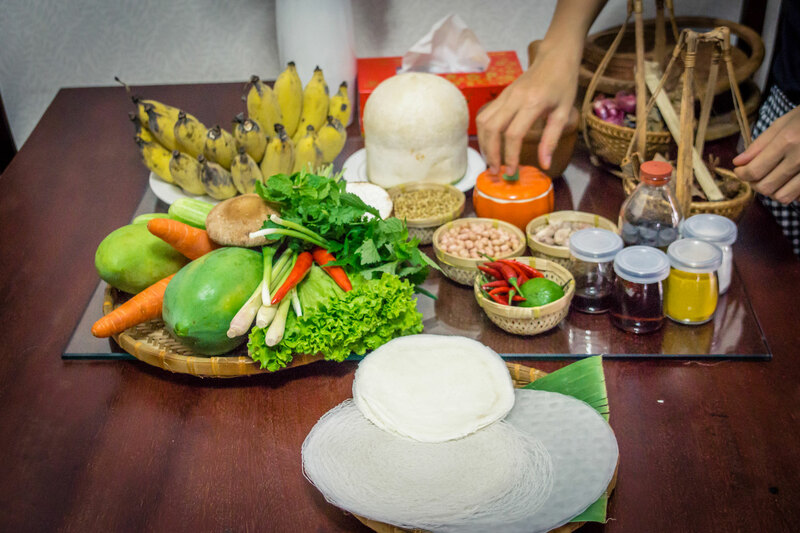 During your cooking lesson, help Lua prepare 2-3 traditional Vietnamese dishes from scratch in her kitchen. 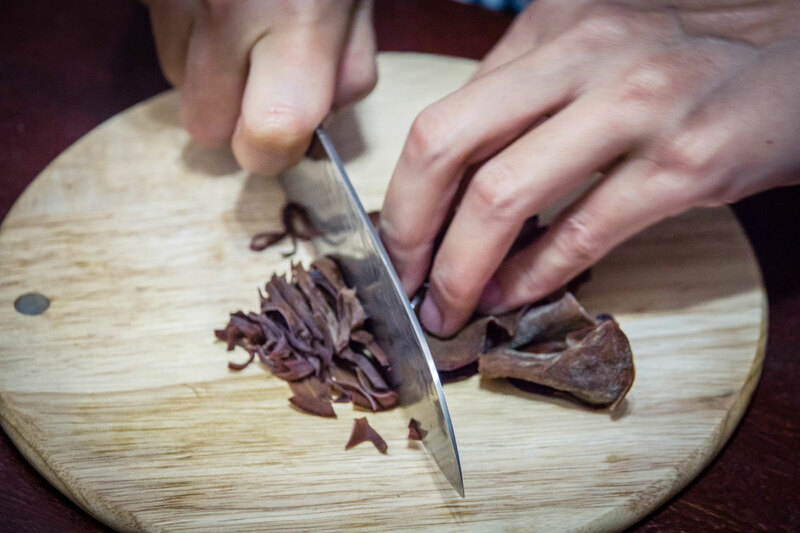 First, Lua will advise you on how best to prepare the dish and then she will guide you step-by-step through the entire cooking process, sharing her secret tips to ensure you get the best results. 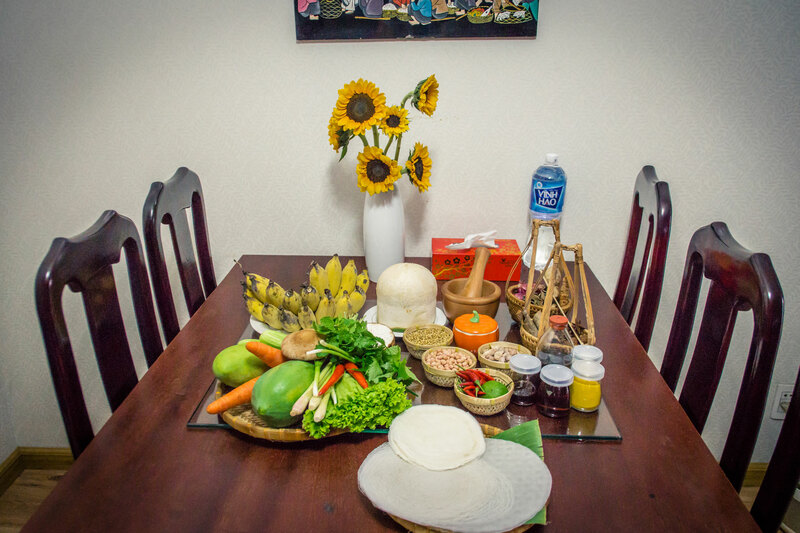 After you finish cooking, sit down together to enjoy your authentic home-cooked Vietnamese meal. Notes: Lua can offer Vegetarian, Vegan, Gluten Free, Lactose-intolerant and MSG-free meals. If you are interested in eating or learning to make a specific dish during your experience, please let Lua know at the time of booking. 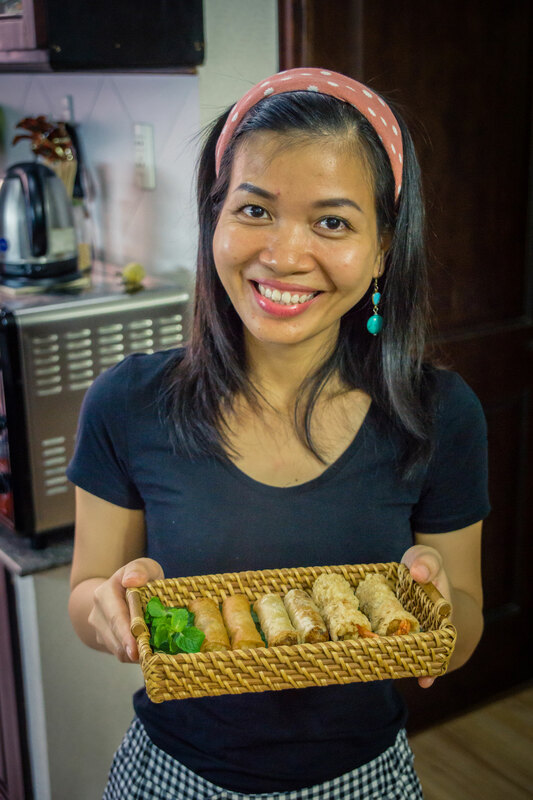 A lovely in-home cooking experience in Lua's kitchen, Saigon Through my travel agent, I signed up for a private cooking class on my last day in Saigon. It made my trip special for several reasons: 1. I learned a lot about Vietnamese foods; 2. I got to visit the home of a young woman who moved to the city as a young adult; 3. I enjoyed freshly cooked food, with very fresh ingredients -- one of the best meals I had during my 17 days in the country! Lua explained a lot about each ingredient, and I was very happy with the way she shared tasks. Very clean, very organized, and I was also so pleased to receive the recipes Lua emailed me later. Lua’s Kitchen was an absolutely delightful and colorful cooking experience. With fresh fruits and veggies laid out on the table when we entered, I knew it was going to be a delicious and healthy meal. I enjoyed that Lua had a few different selections of rice paper to try out different spring roll options. She was such a great host, offering great conversation and delicious Vietnamese coffee. It was a pleasure to spend the evening learning from Lua, and sampling all the different foods.